One or more images virtually staged – WOW, SELLER SAYS MAKE AN OFFER! SELLER FINANCING AVAILABLE – EXCHANGE/TRADE! 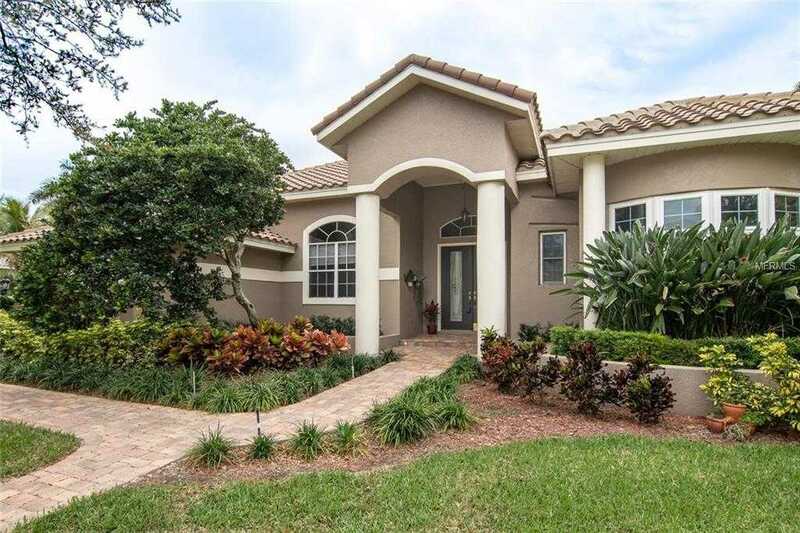 4BR/3BA home in the beautiful Estates of Placido Bayou gated community. Paver driveway and walking path invites you through the grand entryway and into the open living space of this 2948sqft home. With volume ceilings and a split floor plan you will never feel the need for more space. The formal living and dining rooms feature wood flooring and custom floor-to-ceiling built-in shelving. The kitchen features granite counter tops and newer appliances. The freshly painted kitchen opens onto the family room which features built-in shelving, a marble wood-burning fireplace and oversized hurricane rated sliding doors that offer natural light and a great pool view. The recently resurfaced pool and gas heated spa is a great escape with a spacious paver pool deck and plenty of green space for kids and pets. Grill out and entertain your guest under the covered pool deck or bask in the sun. The LARGE 20’x16′ master bedroom is only bested by the enormous master bathroom with his-and-hers walk-in closets. The master bath features a large frame-less shower, double sink vanity, separate soaking tub and water closet. The home also features a 2 car garage, 2016 tile roof, inside laundry, pool bath, water softener, fresh paint in living areas and much more. LOCATION IS KEY! Placido Bayou close to downtown St. Pete and quick access to Bay Area bridges. Please, send me more information on this property: MLS# U8031293 – $749,900 – 4650 Slash Pine Ln Ne, St Petersburg, FL 33703. I would like to schedule a showing appointment for this property: MLS# U8031293 – $749,900 – 4650 Slash Pine Ln Ne, St Petersburg, FL 33703.